The existing Health Centre houses 2 GP practices, Forest Health Care and Dockham Road Surgery together with additional CCG services. It is located within Cinderford town centre adjacent The Co-op on Dockham Road and consists of a single storey flat roofed building with patient and shoppers car parking to the front.. 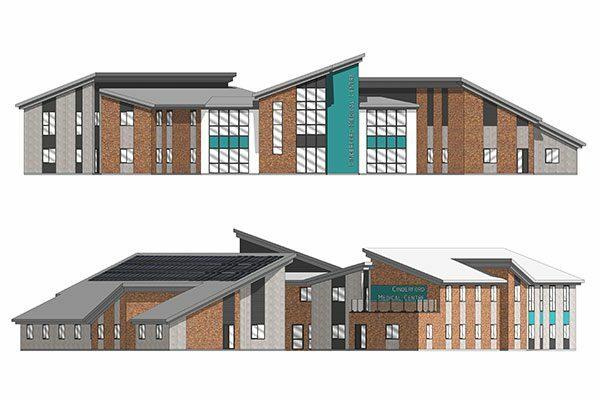 Serving in excess of 14,000 patients, the surgeries along with the Ruardean branch surgery, are expecting patient numbers to increase by 5-7000 in the next 10 years given the proposed house building programme adopted by The Local Authority. After numerous “testing” various sites both in town and out it was agreed that the new “BREEAM” “Excellent” rated medical centre should stay as close to the Town Centre as possible and after extensive searches a section of land off Valley Road was shortlisted as the best location. 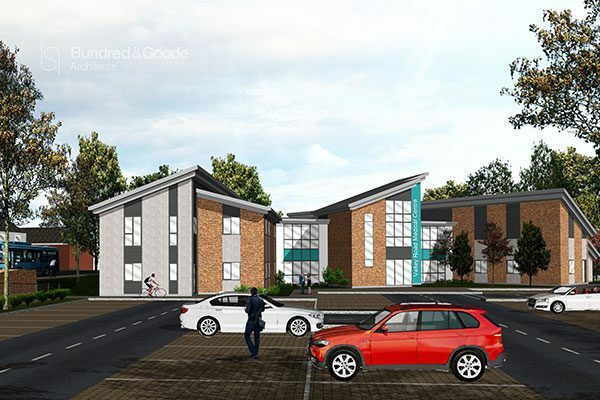 The existing derelict industrial area is set to be regenerated into new housing and the new surgery will sit comfortably within residential areas between the existing and new housing zones. 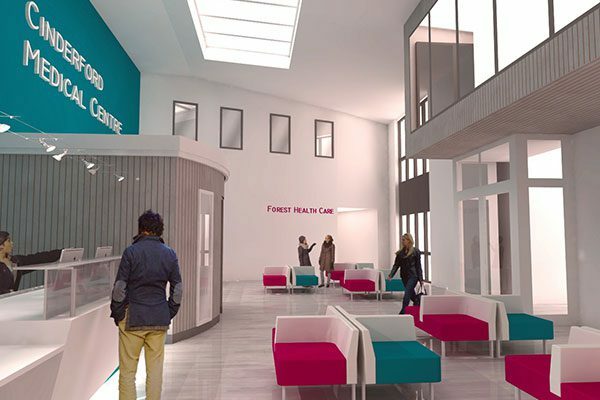 The medical centre is composed of two clinical wings adjoined by a double height waiting and administrative zone. The building intends to allow maximum natural light penetration into the populated spaces creating an environmentally friendly and pleasant space to work and visit.